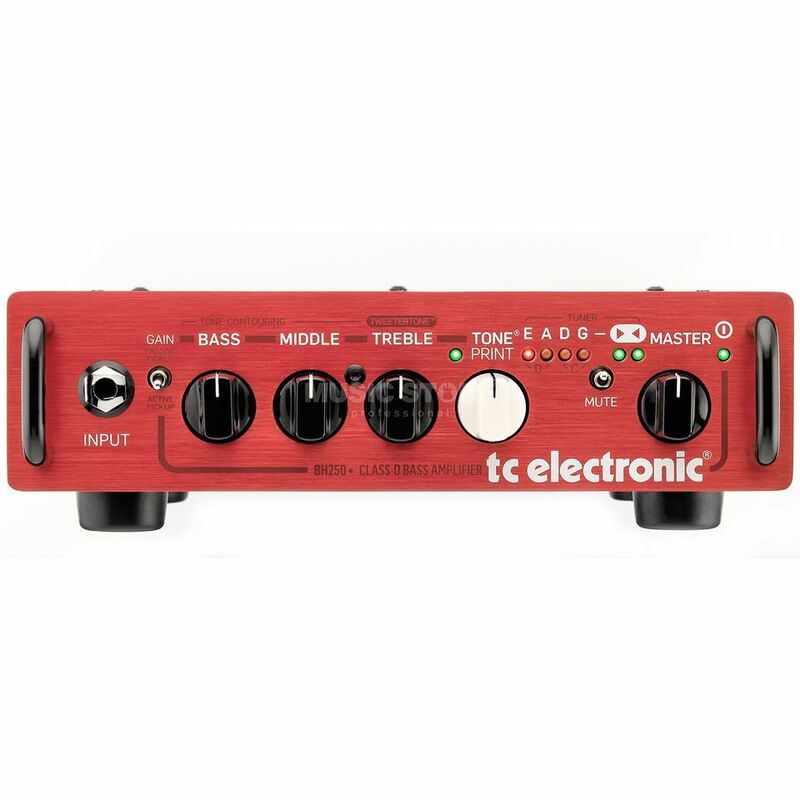 The TC Electronic BH250 Bass Head delivers a huge 250 watts of power and features the unique TonePrint technonogy, inspired by TC’s TonePrint Signature Effects pedals, simple and effective tone shaping controls, as well as a useful built-in tuner. The built in TonePrint technology allows bass players to load signature bass effects via the TonePrint App for iPhone and Android. The BH 250 comes ready loaded TC Electronics’ renowned SCF Chorus effect as default, but players can select from the follwing effects to download: Flanger, Vibrato, Sub’n’ Up Octaver, SpectraComp or Bass Drive. The TC TonePrint effects list is ever-growing and are created with the help from some popular TC signature artists, including; like Nathan East, Mark King, Roscoe Beck and many more. Weighing in at a tiny 4 lbs/1.8kg and being able to sit comfortably in the palm of your hand, the BH250 Head is the ultimate compact and portable bass amplifier for the travelling bass player. But don’t let its size fool you – The BH250 is perfect in any situation, large or small, from rehearsals, home practicing or gigs. The BH250 can certainly hold its own. The TC Electronic BH250 can be rigged up to any cabinet, or cabinets with a minimum load of 4 ohms load, but the BH250 is best paired with TC Electronics’ BC series bass cabinets or RS series bass cabinets.